We, over the years, have seen numerous products from the Rohan Group stable and our respect for the brand has only grown. 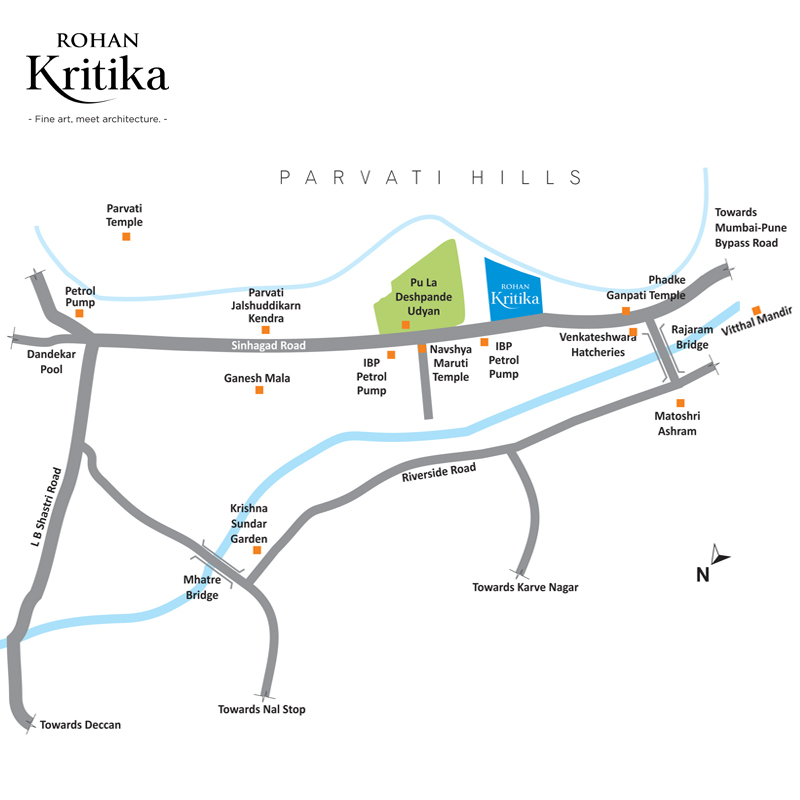 Rohan launched Rohan Kartika in September 2013 on a plot close in Dattavadi. The biggest challenge that would be faced by Rohan in this project would be the size of the plot. It would be interesting to see if they could live up to their standards set in the Pune market and improvise to deliver the perfect product. Well, what we are trying to do here is look at the key highlights of the project to get an idea is there something special or out of the ordinary provided by the developer which will impact the life of a consumer. Rohan Kritika is located in Dattavadi, one of the most prevalent places in on Sinhagad Road, Pune. It lies near Bhawani Peth & Deccan Gymkhana. The only drawback is the Jai Bhawani Nagar development at the back side of the project so choosing the right apartment becomes critical (views from the apartment). It would be fair on our part to highlight that while doing our research with locals we have noted a few problems the Sinhagad road, it is congested and unruly; people have complained of liquor havens. So you need to give this destination time to develop. It’s a little cramped. The box layout in this small 6 to 7 odd acre plot means your privacy will be compromised. It's generally better to go for a lower floor in such layouts to ensure you get a clean view of the garden from your apartment (floors 4 to 8 are ideal). 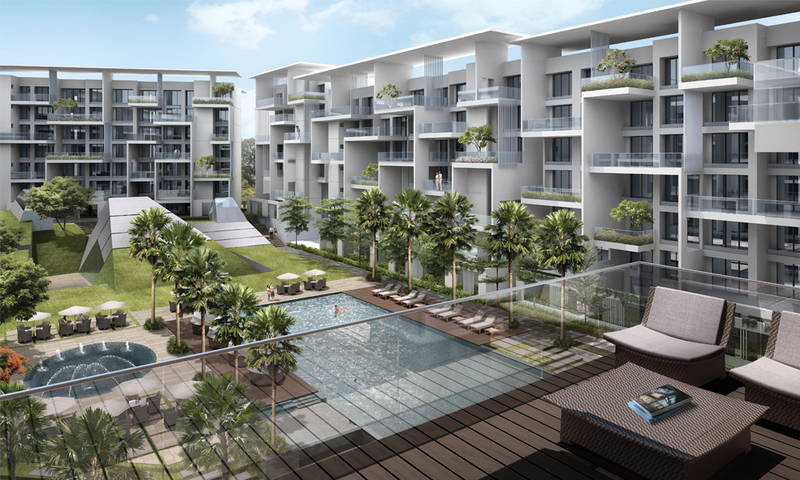 All the amenities are tucked in the centre of the podium & the amenity block is vehicle free which is good. However there is too much concrete all around. Lets look at the 4 BHK layout here. The nature and tonality of the house in aristocratic, there is a lot of emphasis on decks and open spaces which is really lavish in design. The master bedroom is of size 20 * 11 and other bedrooms are of size 13* 11 and 14 *11. A dining space of 10 * 10 does make space for an 8 seater dining table. There is a huge kitchen 130 sqft + kitchen which would really make the women of the house happy. There are options across Pune at this price point however if you wish to stay in this area Rohan is one of the best options.